Elk are one of the largest species of deer in the entire world. Believe it or not, they’re also one of the largest land mammals in all of North America. Elk hunting has become quite popular in the US. Here’s an interesting fact. There are some cultures that see the elk as a spiritual force with antlers. They use the elk’s velvet as an ingredient in medicines. There’s nothing like a good ol’ shot of elk to keep the fever down. And whenever you see those tepee coverings in the movies, you’re probably looking at elk hide. A lot of people also use the elk hide to make clothing and footwear, blankets, gloves, and belts. When it comes to elk meat, it’s leaner and also higher in protein than chicken or even beef. So we can thank these great animals for keeping us alive for thousands of years. As Utah elk hunting guides, we at Leeder Hunting can tell you now that Utah is the place to hunt some of the biggest elk you have ever seen in your life. Elk are the second most abundant big game species in Utah. Over the last 30 years, the number of elk in Utah has exploded. You can find elk in different habitats throughout Utah because they thrive on a varied diet. Utah’s mountains and low-lying deserts are packed with elk. If you’ve been elk hunting in Utah before, you probably know that they love cover. They’ll move to avoid us humans. The big elk like thick cover and isolation. Since elk are migratory, they’ll travel long distances between summer and winter, but there are always exceptions. You’ll find that some elk stay in the same general areas year-round. 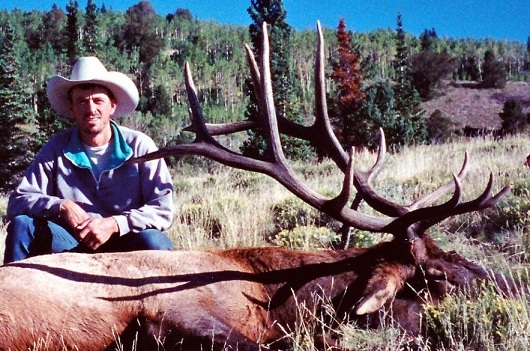 Leeder Hunting is known for our renowned Utah elk hunting guides. Our guided elk hunts begin in late August and runs through mid-September. Rifle and muzzleloader seasons for elk begin in mid September and run through early December. During our early season elk hunts, we go after large, bugling bulls during the rut (mating season). The late season hunts are spent searching in quiet, out-of-the-way places for secluded bulls. Every single elk hunting seasons brings quite an adventure. So load up your gear, and let’s go elk hunting.